I know the time has come for this post to be published, but a part of me is still a bit reticent: after the spring we’ve had so far, I wouldn’t want to jinx it… but summer must go on so here’s our top spots to enjoy the best gelato, this side of the Alps. 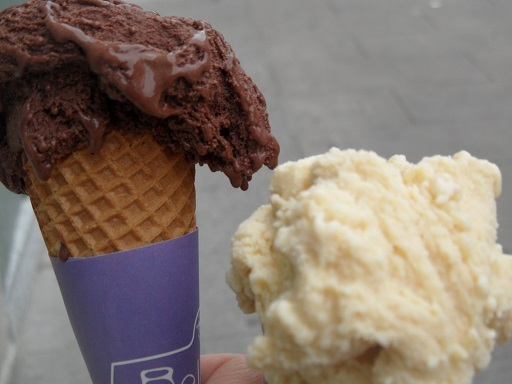 To me, nothing screams scorching summer’s days more than a cone of deliciously creamy Italian gelato. 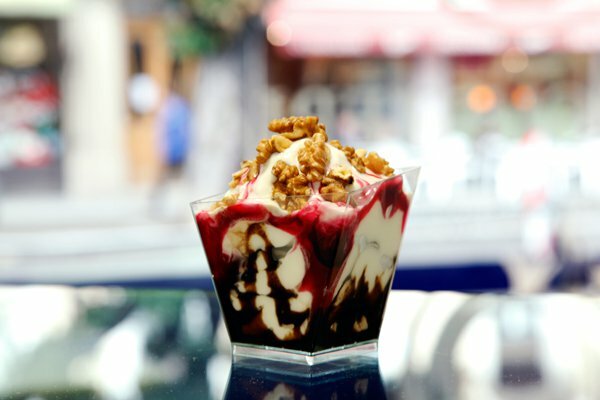 In the past 5 years I’ve hunted high & low for the best ice-cream parlours in the area (tough, I know, but someone had to do it) and now my list is done: here’s the ones that make me beg for more. 1. 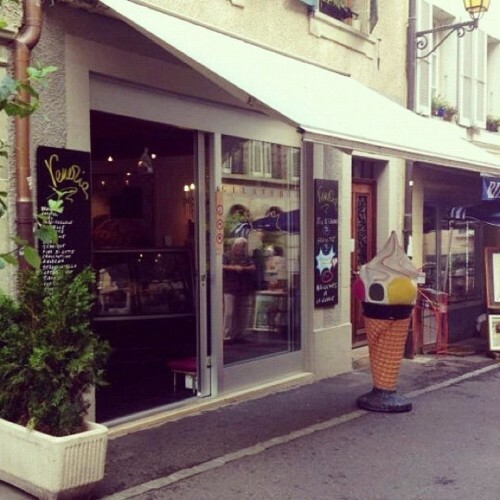 Gelateria Venezia in Nyon (Rue de Rive 44, tel. 022 362 09 89) Open everyday from 11am to 10pm. 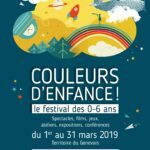 A few steps from Nyon’s pretty lakefront and easily spotted by the endless queue outside, this is the closest you can get to a taste of authentic Italian gelato. From the luscious soft peaks to the multitude of traditional and innovative flavours, everything looks (and tastes) exactly as it should. Prices are higher than in Italy and the queue can seem endless but hang in there: it’s worth every penny ! 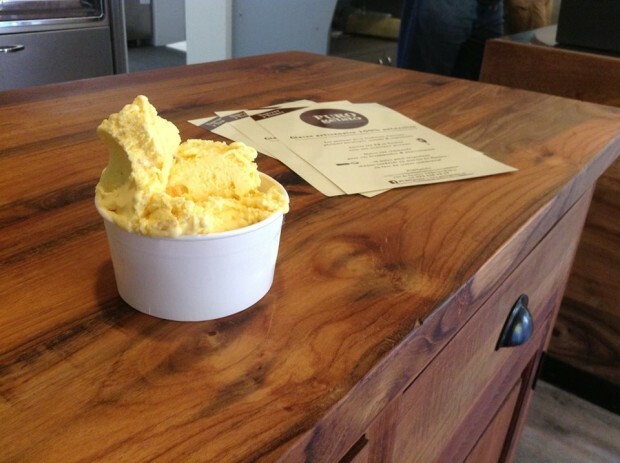 Our tip: order a 1kg bowl and bring some home with you, pop it in the freezer and indulge any time you like. 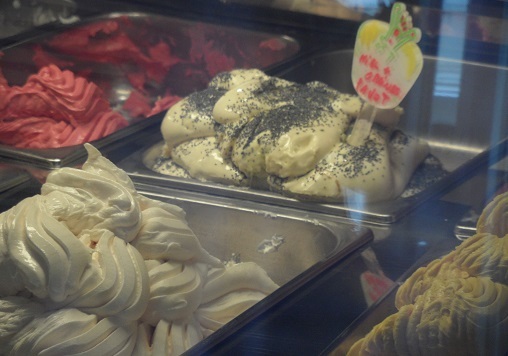 If you’re mad about frozen yogurt, Gelateria Venezia has a separate window on the corner where you can get your fix. 1. 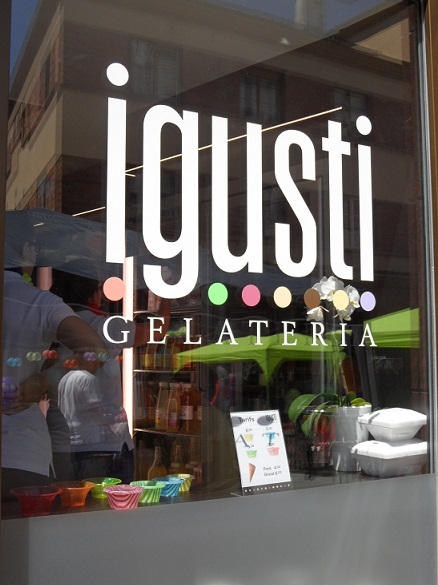 Ex aequo with Gelateria Venezia is IGusti gelateria artigianale in Nyon (Rue Neuve 5, tel. 022 361 48 33). Recently opened, this tiny gelateria packs a mighty flavoursome punch, with traditionally made Italian delights at just 2.50CHF per cup for your choice of 2 flavours. Read all about it in our previous post, try it & let us know what you think! Open Tuesday to Ssaturday from midday to 6pm and from 2pm to 6pm on Sundays. No cards accepted, cash payments only. 2. 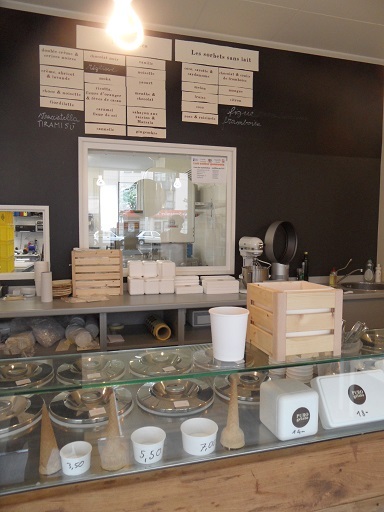 Puro Gelato in Thônex (rue de Genève 123b). 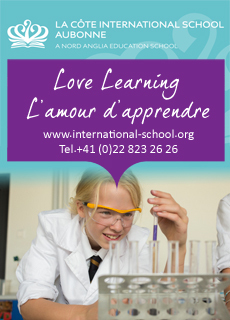 Open Tuesday to Sunday from 10am to 7pm & until 9.30pm on Saturday. This is a contemporary, foodie twist on the traditional art of Italian gelato-making: try their innovative, seasonal flavours such as cream, apricot & lavender flowers or Matcha et sésame blanc avec éclats de sésame caramélisé & tell us what you think. All their ice-cream flavours are made only with Genevan milk, sugar and natural ingredients, with absolutely no nasties or chemical additives at all. 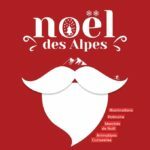 They also serve delicious homemade savoury dishes: lasagne, melanzane alla parmigiana, focaccia – you name it they make it! 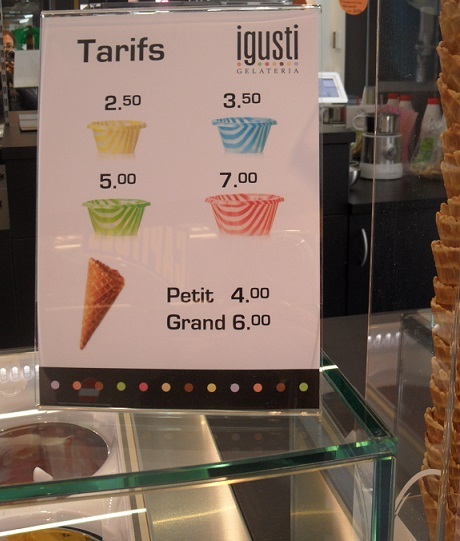 You can read more about Puro gelato in our previous post. 3. 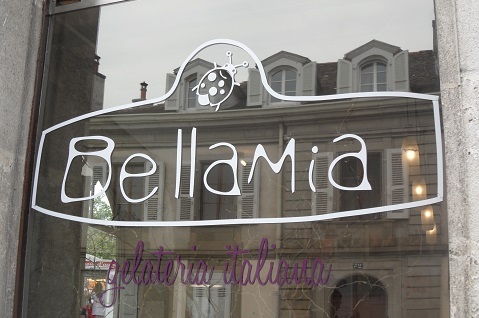 Bellamia Gelateria Italiana in Carouge (2 Place du Marché, tel. 022 301 19 71). Open Monday to Sunday from 11am to 8pm. 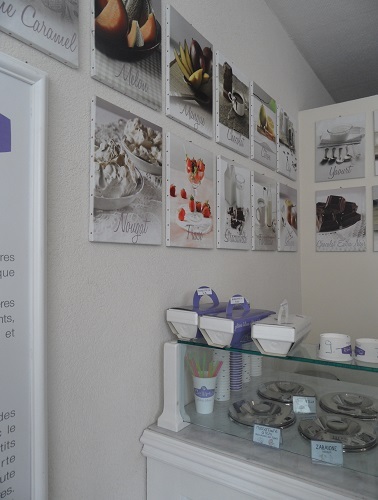 An authentic corner of gelato-heaven in the heart of Carouge, Bellamia offers a selection of gloriously old-fashioned recipes in a light, modern setting. We love the charming vintage twist of its recessed ice-cream wells with a lid: they truly are something out of a 1950s Italian movie ! For a taste of gelato how nonna would have made it, try the Mascarpone with figs, Zabaione, Tiramisù or Crema di nonna Elide. Our tip: as well as large take-away bowls, Bellamia also offers catering services and deliveries on a little ice-cream van. 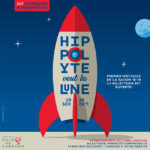 Ask them about the “apecar Bellamia” for a very special summer party. 4. Yourgurteria in Geneva (Boulevard Carl-Vogt 34, Tel. 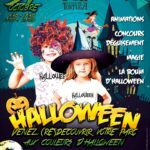 079 394 90 70). Open from 7am to 7pm Monday to Saturday. 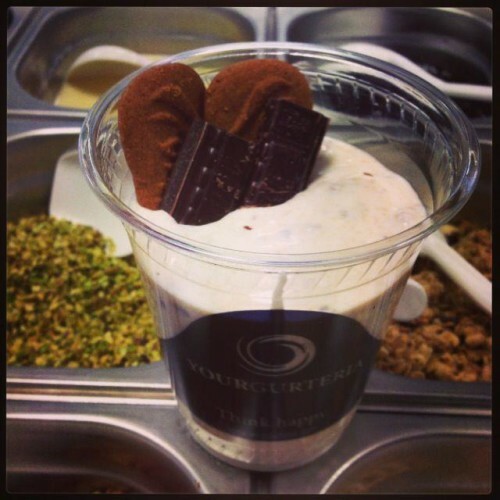 Head to Yourgurteria for the best frozen yogurt in Geneva, made with organic milk, yogurt enzymes and nothing else. 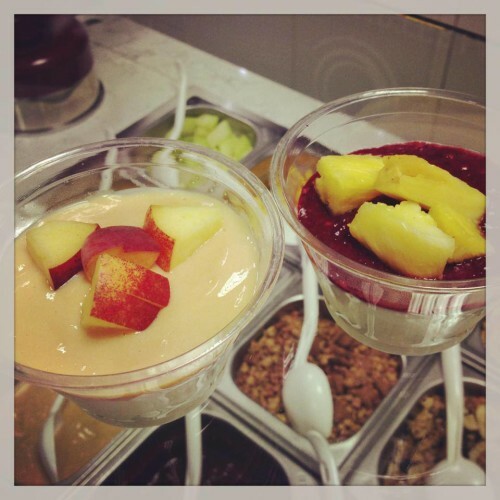 Choose your favourite toppings of fresh fruit, nuts and chocolate or ask for a frozen yogurt smoothie: whatever your choice I guarantee there won’t be anything left at the bottom of your cup. Yourgurteria is a great place to enjoy Italian coffee and snacks such as piadina, ciabatta & focaccia so keep it in mind when hunger strikes. 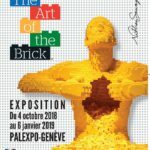 Our tip: Yourgurteria will be at Genève-Plage as well this year, what an incredible summer match made in heaven !